This brand new executive ergonomic 6-point massage office chair is providing extremely comfortable seating where is perfect for any working environment. Featuring the standards, 360-degree swivels, tilt function and gas lift height adjustment while also including massage and heating to sooth aching muscles. It comes with the 6 different points that range from healing back support to leg circulation and comfort. The thick padding making the chair to sit in full work days, providing extra comfort to relieve the fatigue of your heavy loads works and the upper back, lumbar support which can avoid common injuries by sticking with this seating option. It will sure be help to increase circulation, stimulate muscle movement and relieve tension as well as improve productivity. 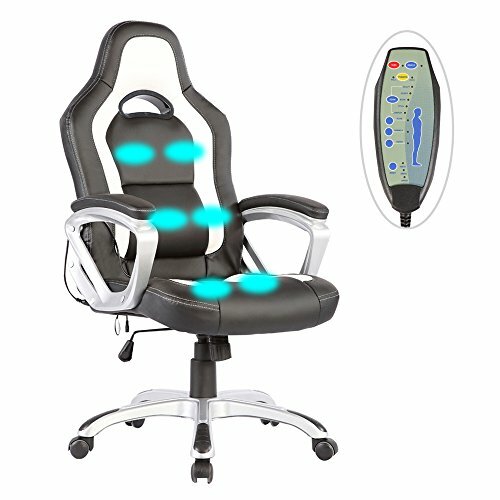 It is your ideal executive massage chair! If you have any questions about this product by Mecor, contact us by completing and submitting the form below. If you are looking for a specif part number, please include it with your message.